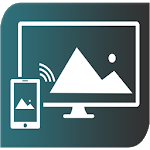 Miracast Screen sharing App will provide an option to share Android phones screen on to smart TV or Wireless Display devices or Mircast enabled dongles. This App simplifies the process to One Click of a button to launch the mircast service on the Phone which in turn searches the near by Smart TV or Wifi Display or display connected to Mircast dongle such as EZcast. 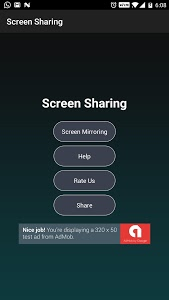 After your device discovered you can start the screen sharing. This app will also takes care of switching On Wifi of the phone if it is switched off. 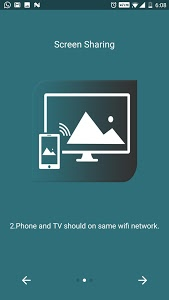 Only thing you need make sure is your TV is Miracst complaint or connected with Mircast device and Miracast service is enabled. This App has been tested for major brands of android phone such as Samsung, LG, Vivo, Honors, HTC Xiaomi (MI) etc. If your phone is not working please write to us @ [email protected] instead of rating us with single star. We will try to fix the issue ASAP. 2. Change in the user interface. 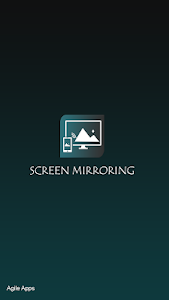 Similar to "Miracast Screen Sharing App"